The “Western” Godfather: Great interview with Kurt Russell about his role in Tombstone. Scientists discover new cave spider species… with claws! : Meet the Trogloraptor, a new family, genus and species in the world of spiders. It’s amazing how it’s been around for so long and hadn’t been discovered before now; makes you wonder what else is out there that we don’t know about yet. The Emotions of the Olympics, in real-time: cool visualization of sentiment analysis during the Olympics. 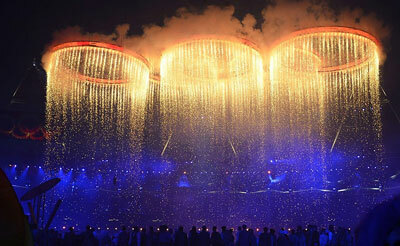 The 50 Best Images of the London 2012 Olympic Games: Awesome photos. Disney develops “face cloning” technique for animatronics: Cool post about how Disney is researching techniques to combine 3D digital scanning and silicone skins to give animatronic robots more realistic facial expressions. 6 Terrible Decisions That Gave Us Great Movie Moments: Wow, I knew about the Star Wars one, but not about the other movies. 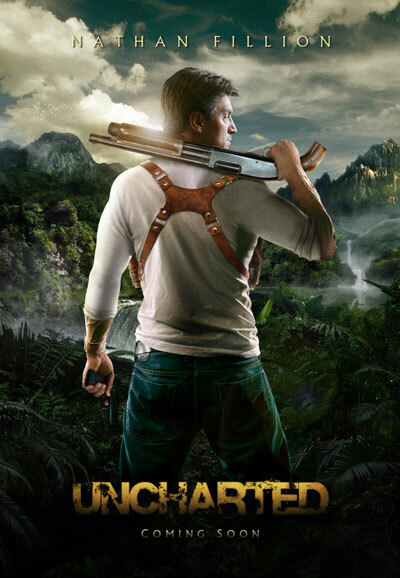 Uncharted Teaser Poster: Photoshopped, but I’d so love to see Nathan Fillion in this role! Let’s Take A Closer Look At Marvel’s New ‘Guardians of the Galaxy’: I haven’t read any of the comics, so it was interesting to read about the different characters we can expect in this new Marvel movie. Why, Yes, Websites Can Be Turned Into Lovely Dresses: I want a YouTube or Google dress! Vintage objects make for a stunning steampunk NYC home: Love the parachute ceiling in the bedroom.